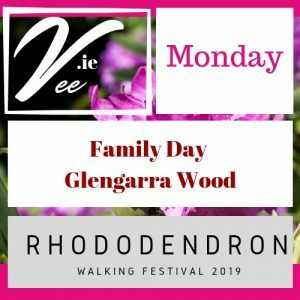 On Sunday June 2nd at 11.30 check in for a wonderful 8km loop walk around the Rhododendrons in the foothills of the Knockmealdown Mountains around Clogheen. The walk begins at 12.00 noon from Clogheen Community Hall and will take from 1.5 to 2 hours to complete depending on your level of fitness. There will be a live band & refreshments for all participants in both loop walks at the Community Hall.